My work was recently featured in Highlights for Children Magazine which was one of my favorite childhood reads. 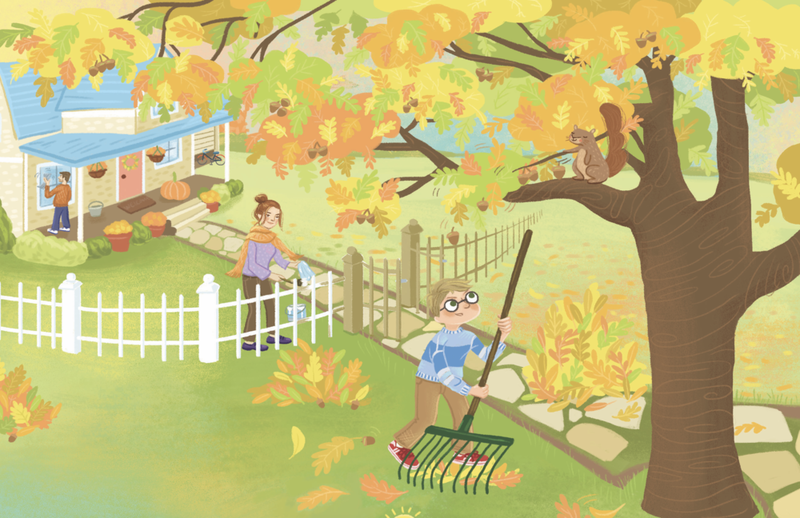 I illustrated the scene, "Autumn Chores" written by Sally Lucas. I wasn't sure how I would get a copy of Highlights in Australia, but luckily they sent me two copies. I am so pleased to know that kids are still reading and enjoying this magazine.